Once in a while, Maximilian will find his way back to Street Fighter III: 3rd Strike. Watch episode 43 of the 3rd Strike edition of the "Online Warrior" inside. It's time for "Oro's Revengeance." 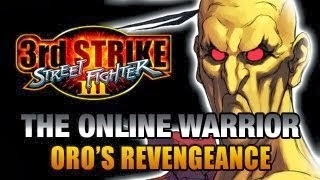 Maximilian is back for the 43th episode of the Street Fighter III: 3rd Strike edition of the "Online Warrior."